Wide Silver Knit bracelet as seen on The Vampire Diaries Season 5 Episode 16. Worn by the beautiful Kat Garham ( Bonnie ) on TVD. Labradorite Cuff Bracelet Lapisbeach Couture Jewelry Faceted Snowflake Obsidian, Gray Pearl, Silver, Black Crystal, Quartz Arm Cuff. 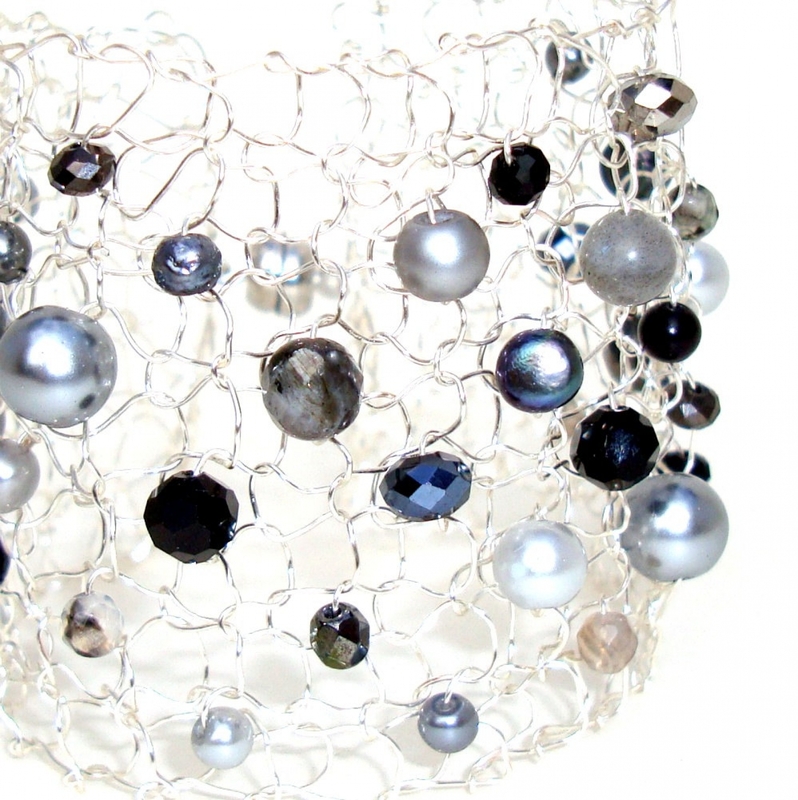 This unique hand knit wire cuff is sure to make a statement on your arm. 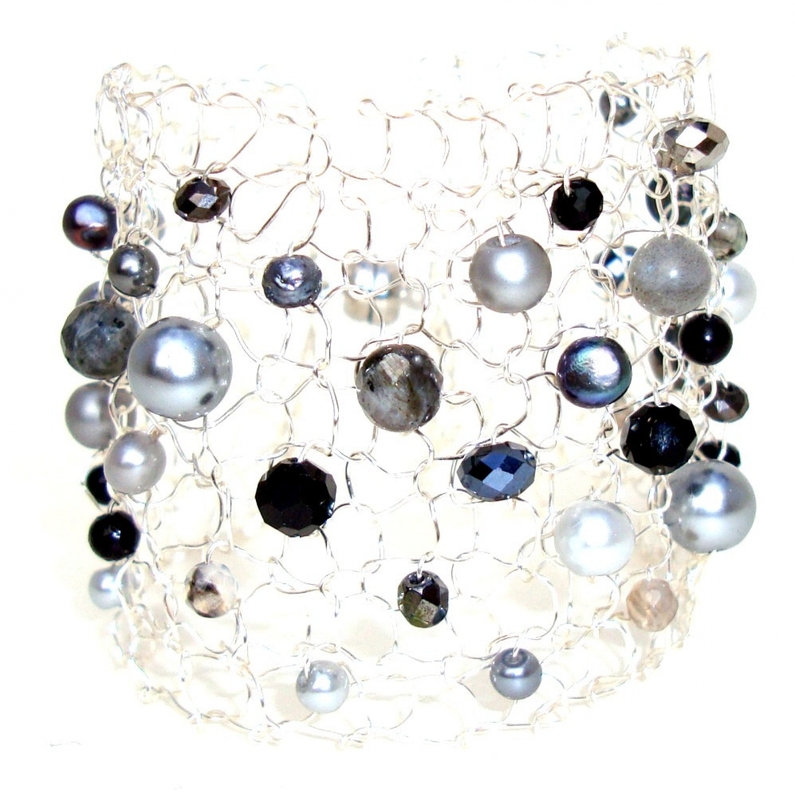 Gorgeous grey pearls, labradorite stones, black crystal and faceted snow flake obsidian and quartz float gently throughout this artist metal lace cuff. The perfect gift for those who have everything - as no two every knit up quite the same. Absolutely one of a kind. Every single piece is hand strung and hand knit. It is both delicate, yet dramatic. The cuff is 2" in width and will be knit to size. They are finished with a simple, yet very strong magnet for convenience. Please indicate wrist length at time of purchase. I am the designer and creator of the cuff worn on the show. It was sent to the TVD stylist for consideration and she chose the cuff for the Bonnie Bennett character :) Please be on the lookout for copycats & "inspired by" phonies.....blerg. 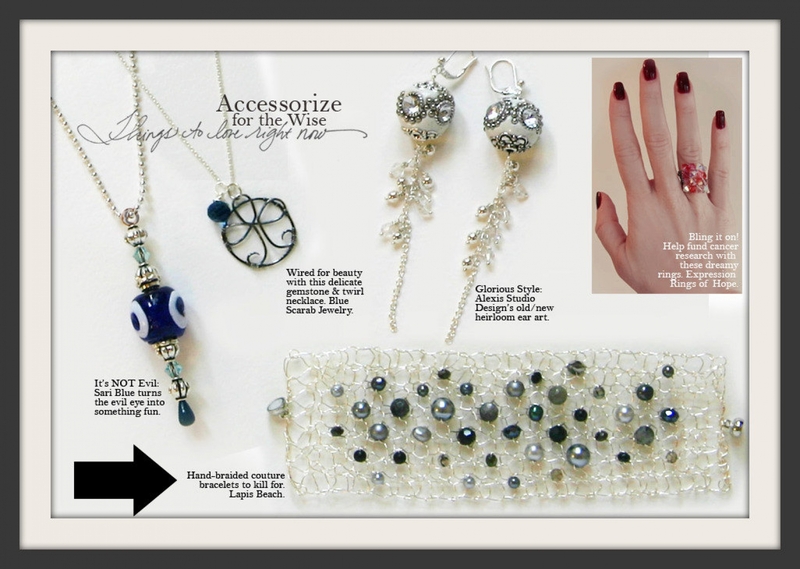 The last photo is of this cuff in the online magazine ttlrn.com - as it was gifted for the 2012 Golden Globes Celebrity Gift Lounge. 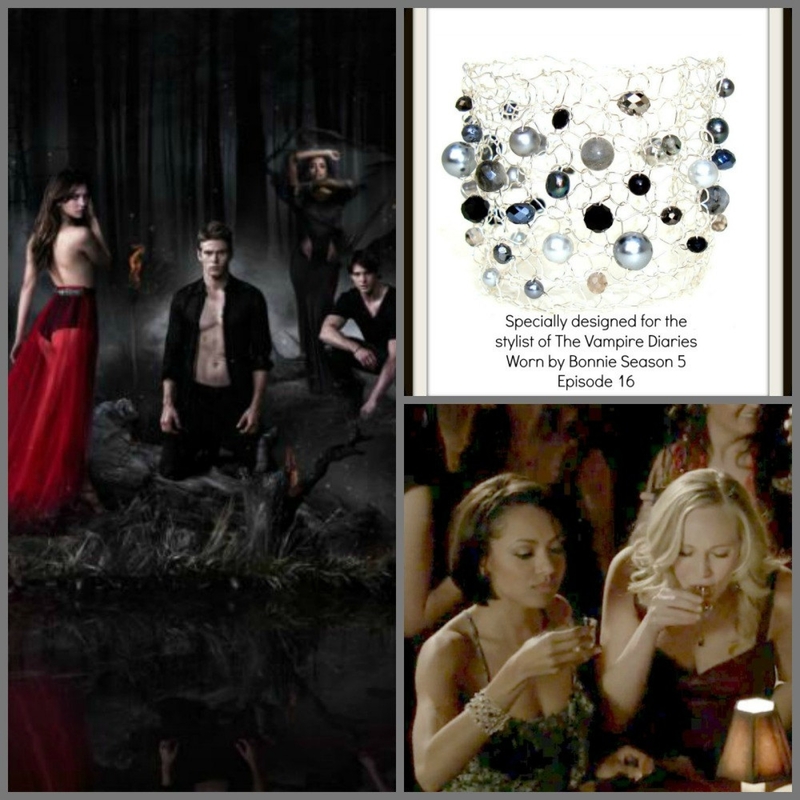 It was also worn by the character Bonnie in The Vampire Diaries Season 5 episode 16 that aired March 20, 2014.